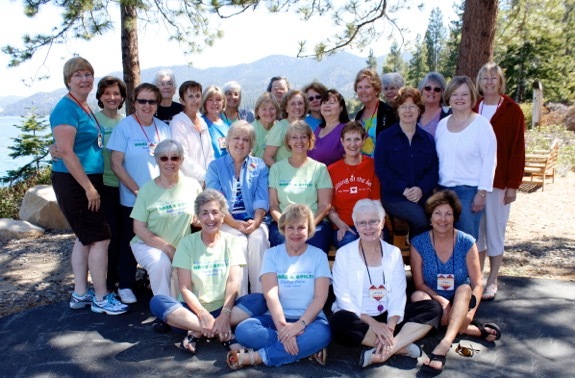 Twenty-six Golden Valley members and guests, spent 5 days, June 2nd to the 7th, at the sixth annual retreat held at Zephyr Point’s Tallac Center. We spent each day stitching, eating, laughing and quilt shop hopping – and not necessarily in that order. 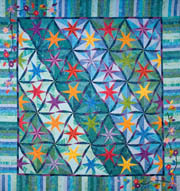 The weather was spectacular, quilting friendships developed and were nourished, leaving us all yearning for next year. 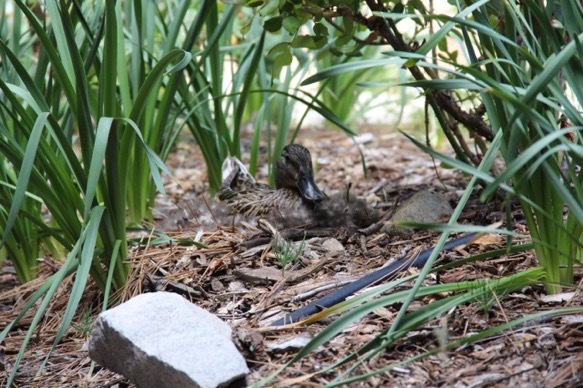 During the retreat, as we walked to and from the dining hall, we kept watch on a Mallard Duck sitting motionless on her eggs. On the morning of June 6th, she and her ducklings had vanished.